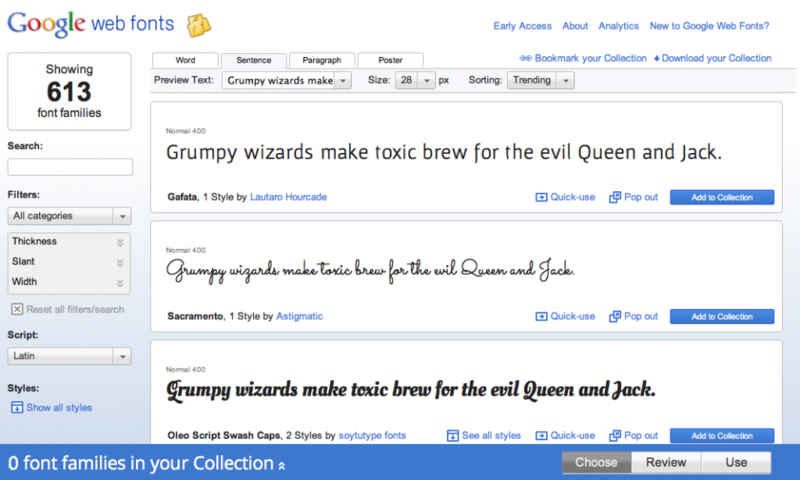 Google has been kind enough to pull together a collection of great free fonts at http://www.google.com/webfonts. For ages I have wanted a easy way to use these in my JavaFX applications. 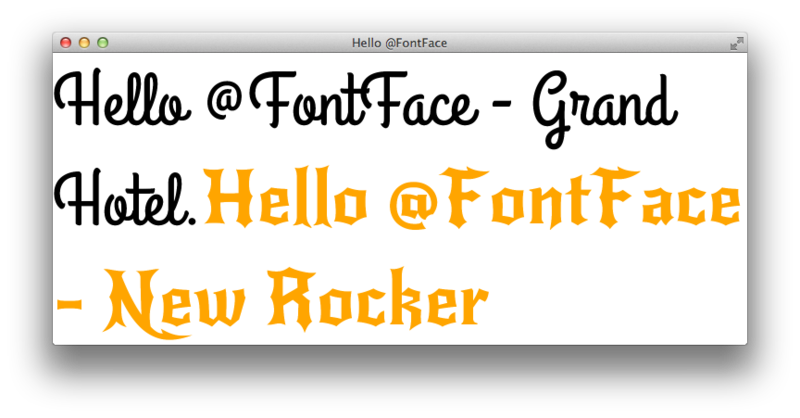 This week I added basic support to JavaFX for CSS @font-face support (see RT-10343). It should be going into JDK 8-b69 which will be available later this week. You can see here we are loading two fonts, you can load as many as you like. So go have fun and enjoy creating great typography in your JavaFX apps. My ignorance of how CSS + JavaFX works may bleed through here, but there’s something about this that doesn’t sit right with me. Doesn’t this make it a little too easy for people to accidentally create dependencies on external resources they don’t control? I can see myself using the above setup for prototyping since it’s convenient, but I can also see myself forgetting to change a reference to an external stylesheet at some point (after I download / bundle the font locally). Now here’s the part where I don’t know how things work. Is there a way I can check everything at compile time to make sure there aren’t any references to resources that aren’t available on the classpath? Furthermore, it is unclear whether those fonts are cached locally (where? ), or need to be downloaded each time the stylesheet is applied (or the application runs). Is there a way to add these exclusively through CSS? @John, I know it’s 5 years later, but in case anyone wanted to add fonts just through CSS, you can use `@import`. It’s gotta be the first thing in your stylesheet. The website has since had a redesign. Instead of “Quick Use”, look for a red plus (+) button, and then click the black toast message.